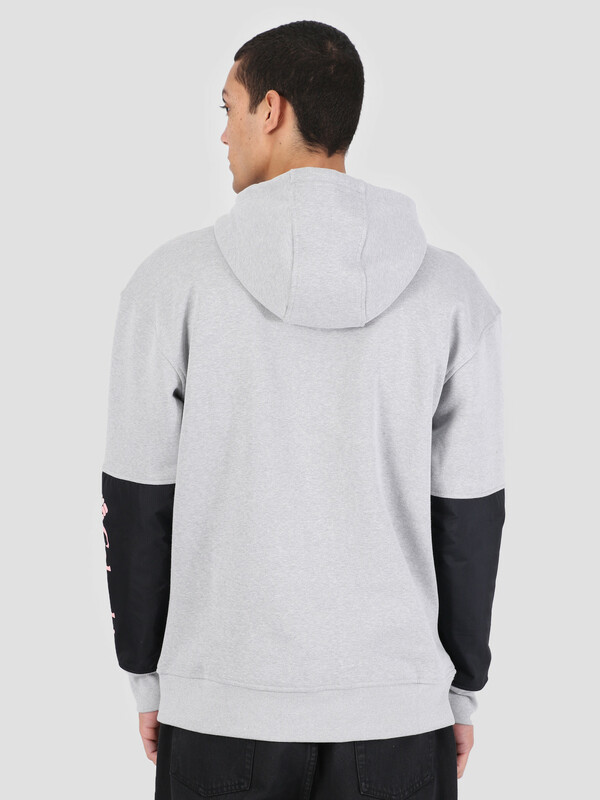 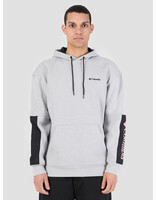 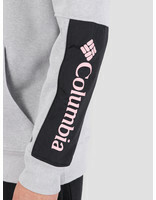 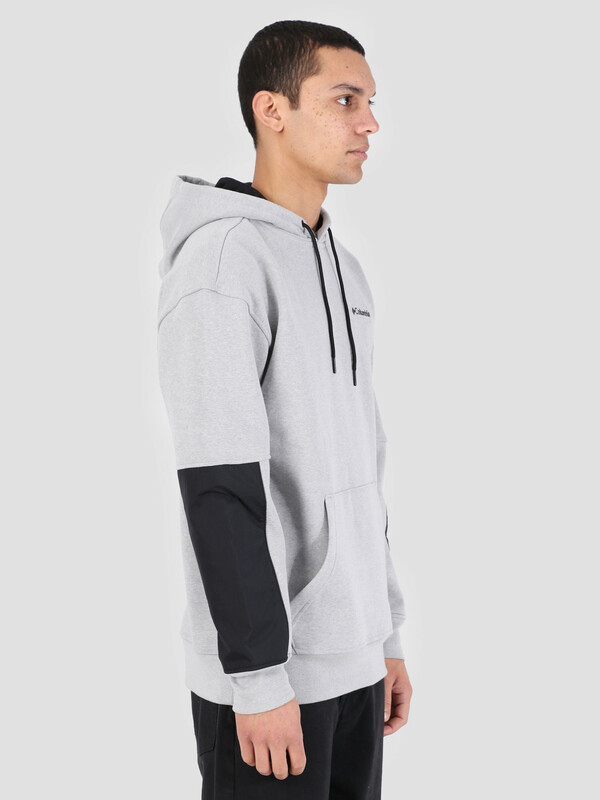 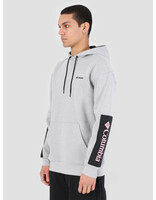 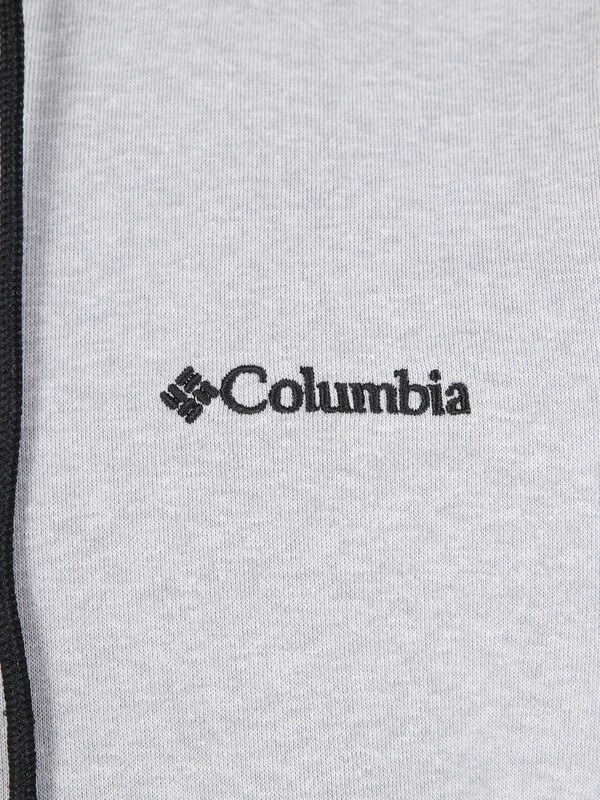 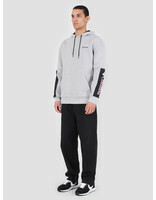 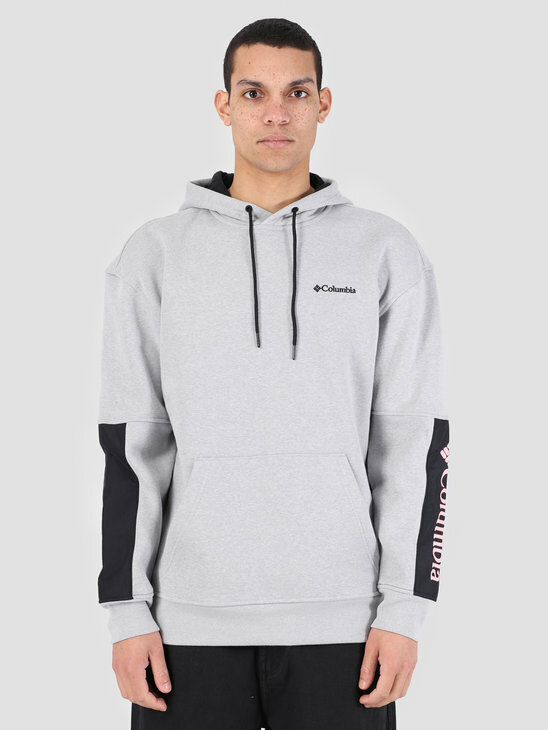 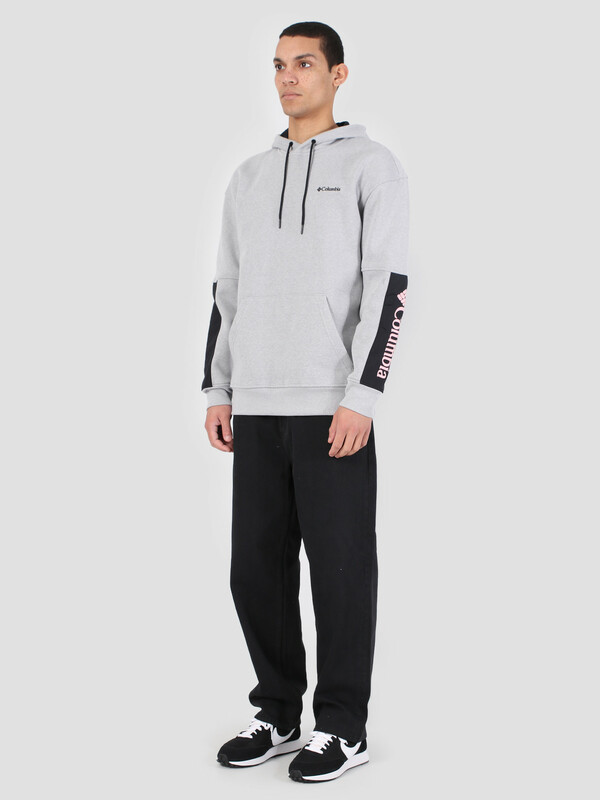 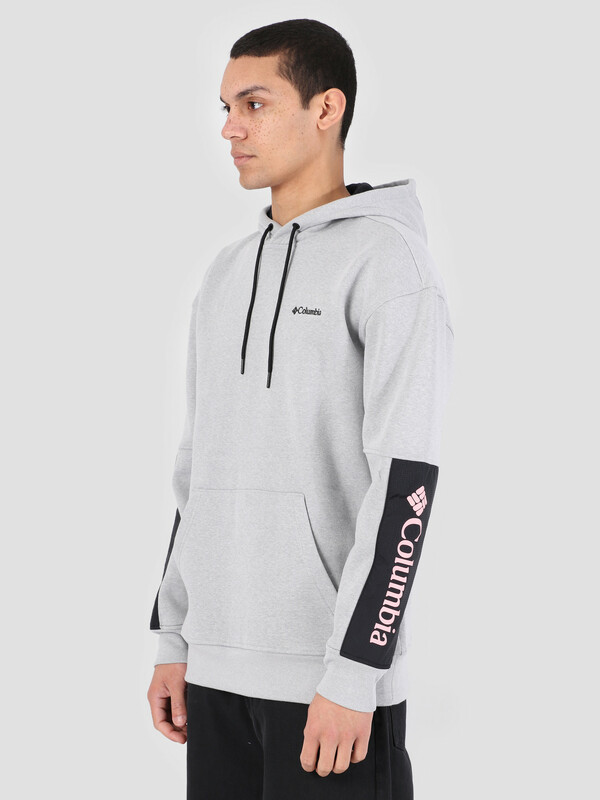 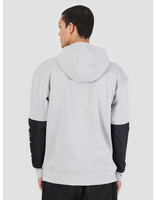 The Columbia Fremont Hoodie Columbia is a grey hoodie with black planes on the sleeves. 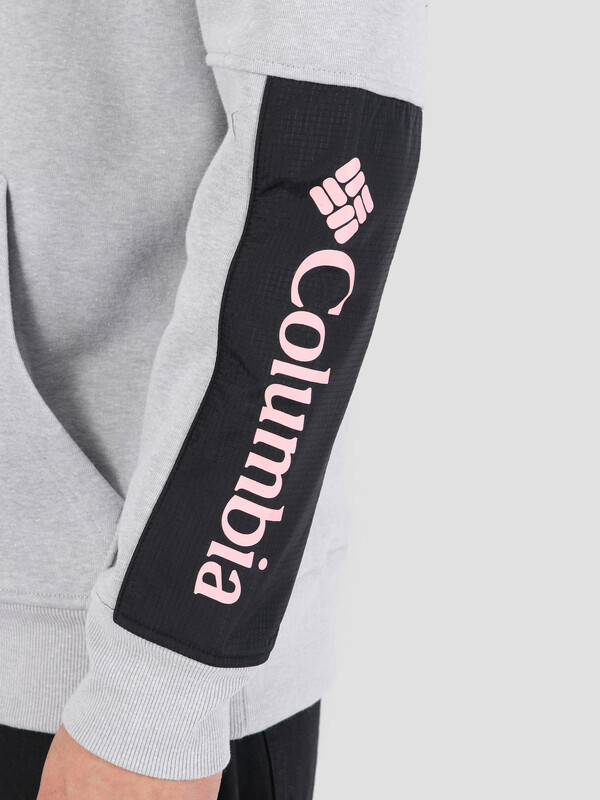 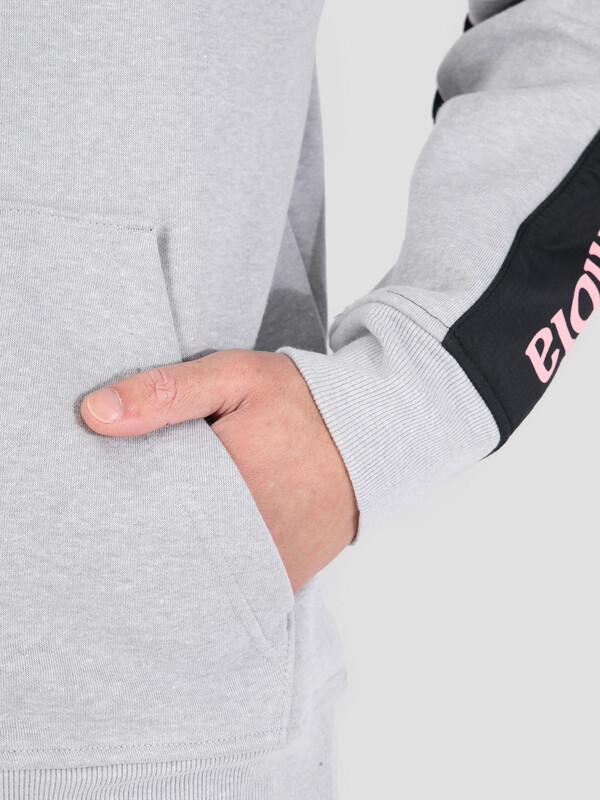 The branding can be found embroidered in small on the chest and printed largely in pink on the left sleeve. 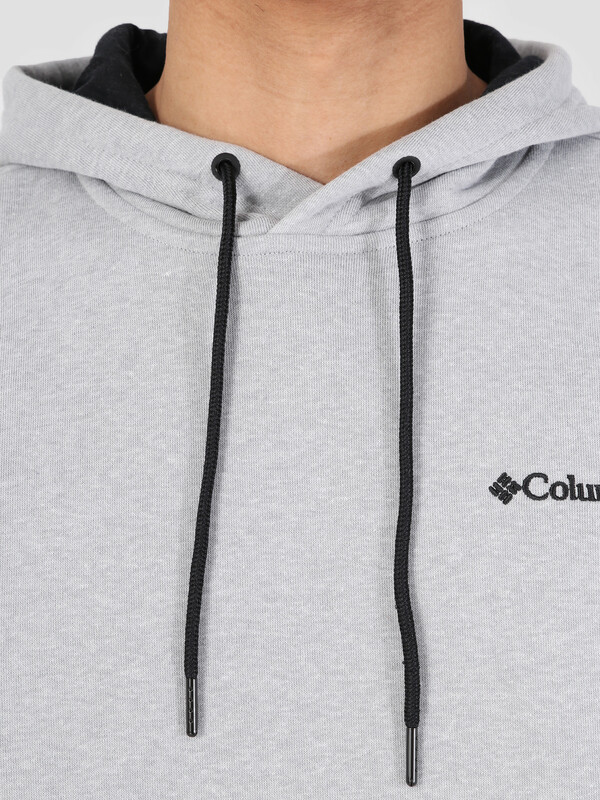 The hood is foreseen with a lace through the seem so that it can be tightened and loosened. 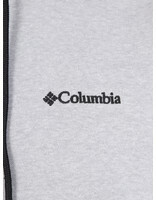 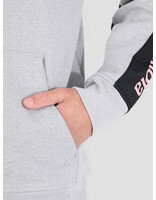 A pouch is placed on the front of the sweater. 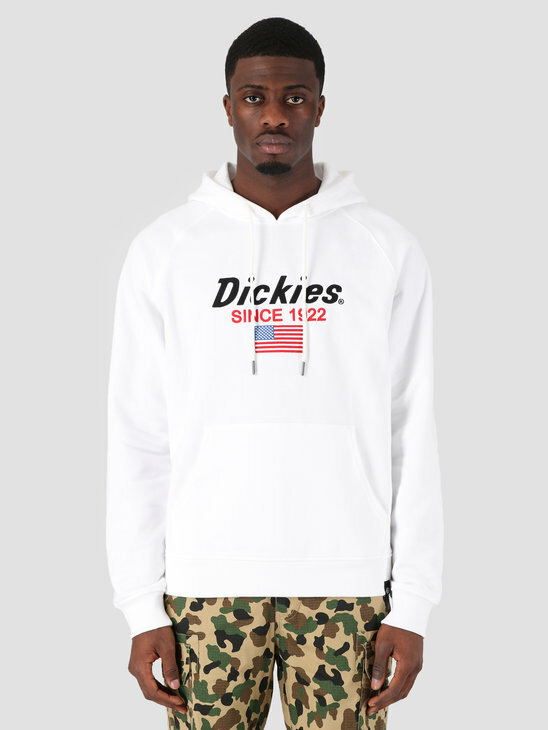 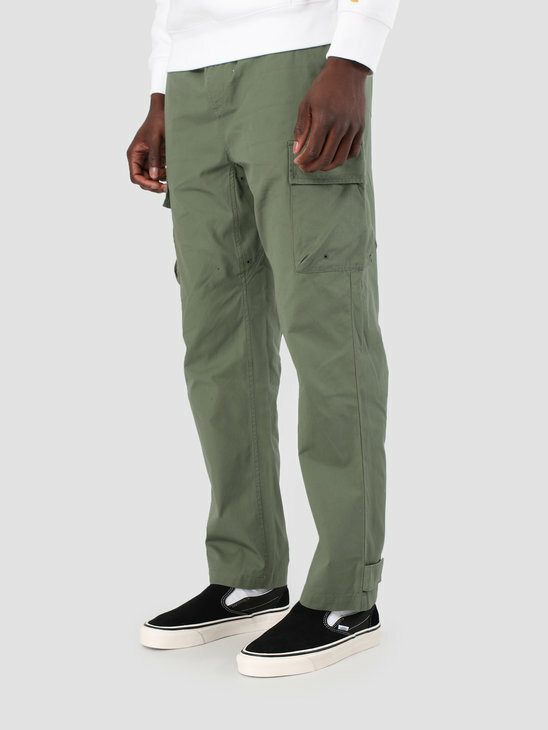 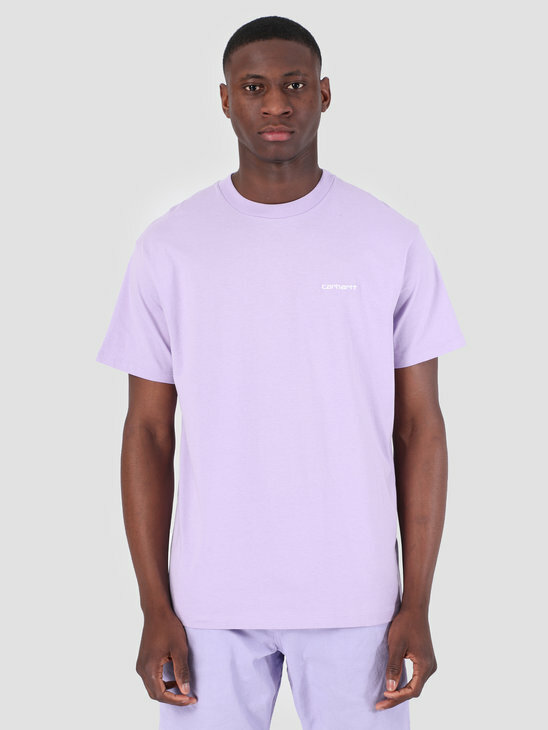 It has a regular fit and is made out of 100% cotton.